Do you hate getting bitten by pesky dengue fever-causing mosquitoes? In my family, it's always me who always gets bitten by mosquitoes. I dunno know if there's any connection with me being a diabetic. All I'm sure is, mosquitoes love me. Gah! I used to spray anti-mosquito repellent all the time until I read about the dangers of being overexposed to DEET. I tried using citronella oil but it doesn't work well on me. 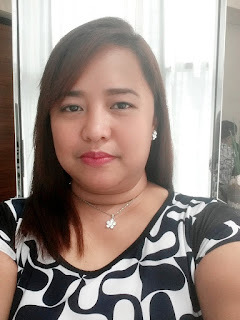 I recently discovered Guard Insect Repellent and it incredibly works well for me and my boy. 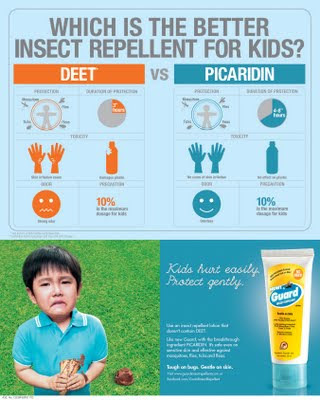 The best thing is, it is DEET-free and it uses picaridin as its active ingredient. Picaridin is recommended by the World Health Organization in avoiding mosquito bites without the harmful effects. 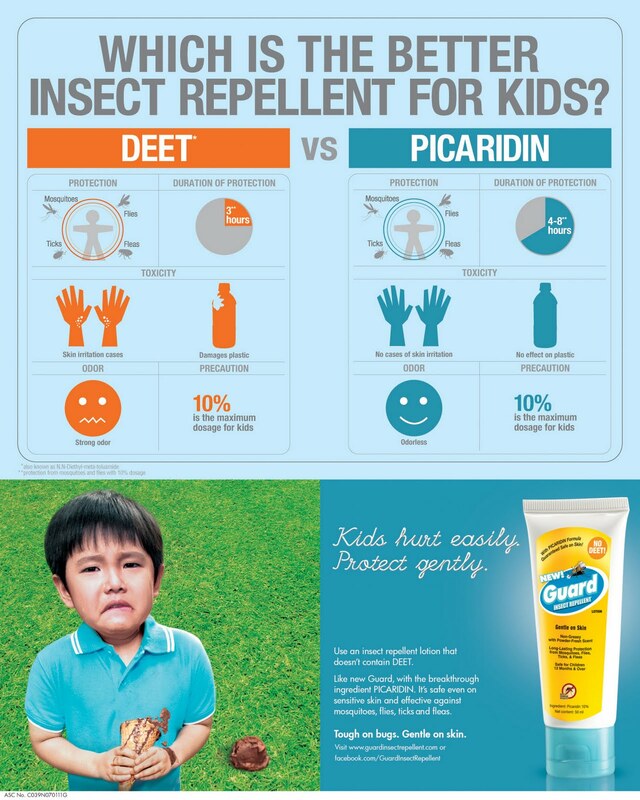 See the infographic below to see how safer picaridin is compared to DEET. With Guard Insect Repellent, I'm confident that I'll not be seeing nurses in nursing uniforms because of Dengue Fever. Not only does it repel mosquitoes, it also works well against ticks, fleas, and flies. It's affordable, too! One 50ml tube only costs Php 68.50. It also leaves a powdery scent and is non-sticky. It's now a must-have in my bag!